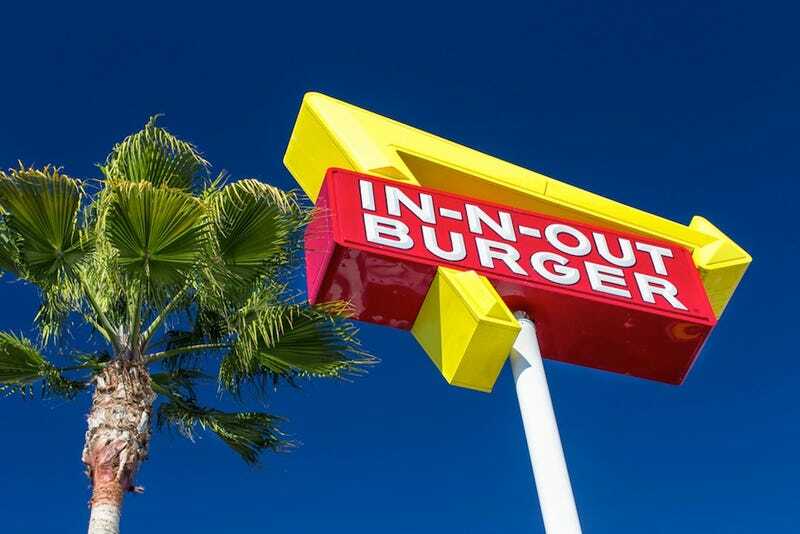 A former Los Angeles In-N-Out employee was arrested and charged with attempted murder after he was caught waiting near his ex-boss’ car with loaded guns. A witness saw 23-year-old Eric Bloss pouring sugar in the vehicle’s gas tank in the parking lot of the Glendale restaurant at around 2 a.m., last Monday. Police found Bloss waiting near the car with two loaded pistols, ammunition and additional magazines. A third gun, also loaded, was found in his nearby car. While Bloss’ motive for the attempted attack has not yet been confirmed, it seems that he was disillusioned with a post-college life that had him working at a fast food joint. According to NBC4 News, the UC Berkeley grad was planning a career as a geologist and—as life happens—found himself flipping Double Doubles at In-N-Out instead. His roommate, Tyler Frisch, said Bloss felt like “college is a scam because he still hasn’t found his career.” He also said that Bloss complained his manager was “picking on him and writing him up for things he didn’t seem like he deserved.” Bloss was fired from the restaurant sometime in the past year.